Another year come and gone; 2018 you were a real firecracker! I began my 2018 by learning I was pregnant with our second child. At that time I was traveling constantly between Toronto, Denver, San Francisco and Portland yet amidst that travel I was able to spend 10 incredible days with my husband and Aspen in Tulum Mexico, one of our favourite places on earth. In March I left my 10+ year career in Sales & Marketing at the height of my career (financially speaking), and in doing so gave up a huge part of how I defined my identity and self worth. I began a journey of full-time ‘Momming’ and learning the value I provided in my home as opposed to the value I used to find in the dollar signs on my pay check. I launched my business Hautebox with a close friend and hosted 7 events in 8 months and had the opportunity to meet and partner with countless incredible women. 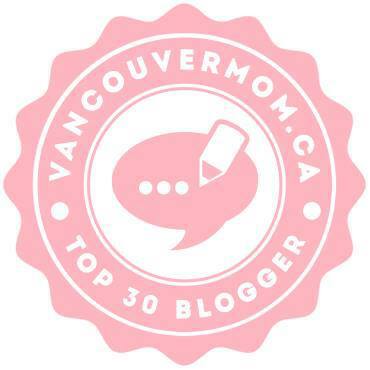 I was nominated as one of Vancouver’s Top 30 Mom Bloggers by VancouverMom.ca which was a huge honour and entirely unexpected. We spent a week on the coast just outside Cabo with 3 other couples that are some of our closest friends and a total of 7 children ages 3 and under. I gave birth to my second baby boy at home, my first water birth; a spiritual and beautiful experience that changed me at my core. We [nearly] completed a build on our family home in Squamish and are planning to leave the city which will be an enormous and exciting shift for our little family. So, 2019, how do you plan to one-up that??! My husband and I snuck away to the always-fabulous Fairmont Pac Rim Willow Stream spa on with only 2 days remaining in the year to find some time together away from the Holiday travel and chaos and to have a chance to talk about the year ahead. As a CEO and Board Member for a large organization, he practices exercises like this on a regular basis. He creates business strategies for growth, he reviews key performance indicators, he sets goals. Why weren’t we doing this for our family and what we wanted for our future and children’s futures? I know what you’re thinking - NERD ALERT! Ok, I kind of thought that too. At first. But it was so wonderful to  spend time with my man at the spa and  find clarity on the things we really wanted out of the next year and discuss how we would accomplish those together. I was listening to a Women Work + Worth podcast a few days ago and one of the pieces that resonated with me was this quote: “If you have more than 3 priorities, you have none”. Priorities are not defined as the things that are important to you, of course we all have more than 3 things in life that are important to us. Priorities are those things that are important to you which you decide to focus your effort on, and without clearly defining those its nearly impossible to spend your energy in a way that pushes you in the direction of the things you truly want to accomplish. I feel like that is a great summation of my life in the past 6 months; 10 Million things that are important to me and only a finite amount of energy to invest into them. I was saying yes to far too many things because they were appealing and exciting but not prioritizing and therefore feeling depleted and aimless. I’m not sure I’m ready to commit to exactly what my 3 priorities will be in 2019, but I have a short list that is narrowing in on them. I want them to be specific and have depth. I know they will pertain to my children and/or marriage and my personal growth and development. I feel like I’ve spent far too much of my energy in the past decade chasing my personal value as defined by what someone else dictated as valuable and I’m looking forward to redefining the metric. There is, however, a word I have stetted on for 2019 that in addition to my 3 priorities, will be a beacon to how I invest my energy and that is intention. I want to be intentional with how I speak, how I interact with others, how I spend money, how I grow my business, how I spend my time and energy. I think it’s easy for life to feel hectic and hurried, especially as a mother. But each day always has 24 hours. And something about reclaiming that time into thoughtful intentional time is really exciting and empowering. You own your hours - they are yours to spend as you please. They are more valuable than any dollar. We are so rich friends!